A gluten-free graham cracker pie crust recipe is great to have at hand when you want to make a dessert. It can be filled in a variety of delicious ways and used baked or unbaked. 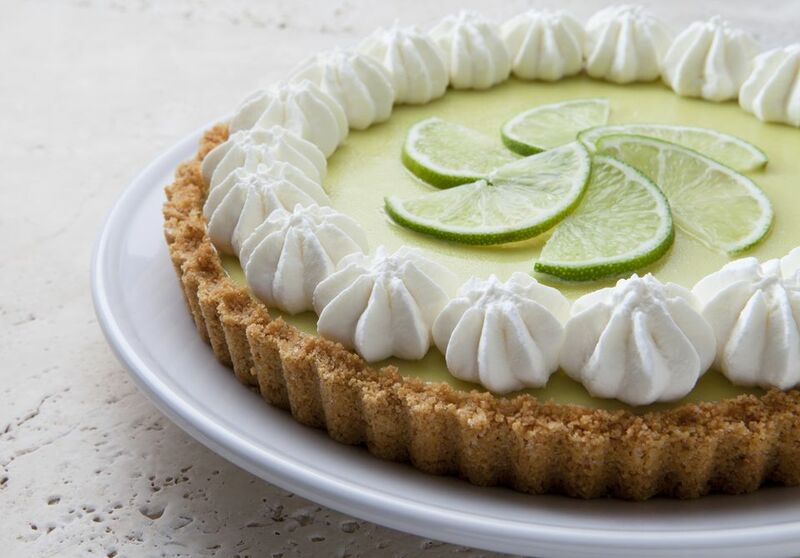 It is the base for desserts like gluten-free key lime pie and gluten-free s'mores pie. This recipe yields one 9-inch gluten-free graham cracker pie crust. All you need are gluten-free graham crackers, softened butter, and a bit of cane sugar. Nairn's gluten-free oat grahams are a delicious option to use for this pie crust. Pamela's also makes a gluten-free graham cracker, as does Kinnikinnick. If you have the time and are feeling ambitious, you can also make your own graham cracker from scratch. As a rule of thumb, 1/2 cup of crumbs is produced by three graham cracker sheets, so you will want 12 graham cracker sheets to make the needed 2 cups of crumbs. However, different brands may vary in the size of their crackers and affect this ratio. Place the gluten-free graham crackers in a ziplock bag and use a rolling pin to crush the crackers into fine crumbs. Place crumbs in a bowl and add soft butter, sugar, and the optional nutmeg. Use a large spatula or your hands to thoroughly combine ingredients. Pour the crumb mixture into a 9-inch pie plate or tart pan with a removable bottom. Use your fingers to press the crumbs evenly into your pie pan. Use a lot of pressure to compact the crumbs as much as possible. For extra compaction, use a flat-bottomed water glass to press the crumbs into the bottom of the pan. For a baked crust place crust in a preheated oven, bake for about 8 minutes or just until edges of crust start to brown. Allow the crust to cool before you add the filling. For an unbaked crust, chill it in the refrigerator until firm, at least an hour, before using it. To make the crust ahead of time and store it, wrap it in plastic wrap and place it in the refrigerator for up to three days before using it. You can also freeze it in the pan for up to three months, wrapped well in foil or plastic wrap or encased in a large freezer bag. Thaw it before filling. If you are cooking a gluten-free dessert for someone who is sensitive, you need to ensure all of your work surfaces, utensils, and pans are free of gluten. When buying the ingredients, check the label even if you have used the product before. Manufacturers can change the formulation without notice.